Artists and art aficionados can happily combine and celebrate the local arts scene at Blu Sail Gallery, Artists' School & Pottery Studio. This all-encompassing stop for creative minds offers a wealth of classes, framing services, camps, and even local works to inspire any visitor to take full adventure of the stunning Crystal Coast environment, and to learn something new. 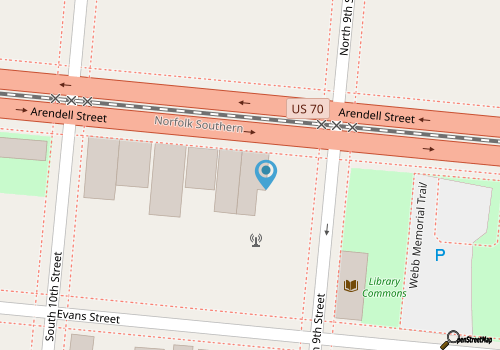 The gallery and studio is fairly easy to find, and is located along Arendell Street in the heart of the downtown area. The biggest draw for new visitors is the variety of classes and workshops available, which includes an open studio, therapeutic classes, pottery classes for beginners and advanced students alike, and even more unique crafting classes, like “Raku Nights.” In addition, Blu Sail Gallery hosts regular “Paint and Partake” events, where artists can enjoy a glass of wine while learning how to create a specific masterpiece – which is a truly fun experience for casual vacationers. There’s also a number of kids camps and classes available in the summer months, ensuring artists of any age can enjoy or learn something new. With accomplished and friendly instructors, and a myriad of classes to choose from for artists of all skill levels, there’s always something new to discover and create with a visit to Blu Sail Gallery.